Ruijter, M.J, Oosterlee, C.W, & Aalbers, R.F.T. (2013). 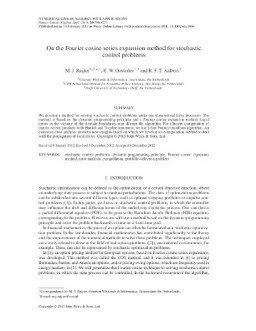 On the Fourier cosine series expansion (COS) method for stochastic control problems. Numerical Linear Algebra with Applications, 20(4), 598–625.